A few years ago, if you'd have told me that I would be someone who wears eye shadow on a daily basis then I would probably laugh. 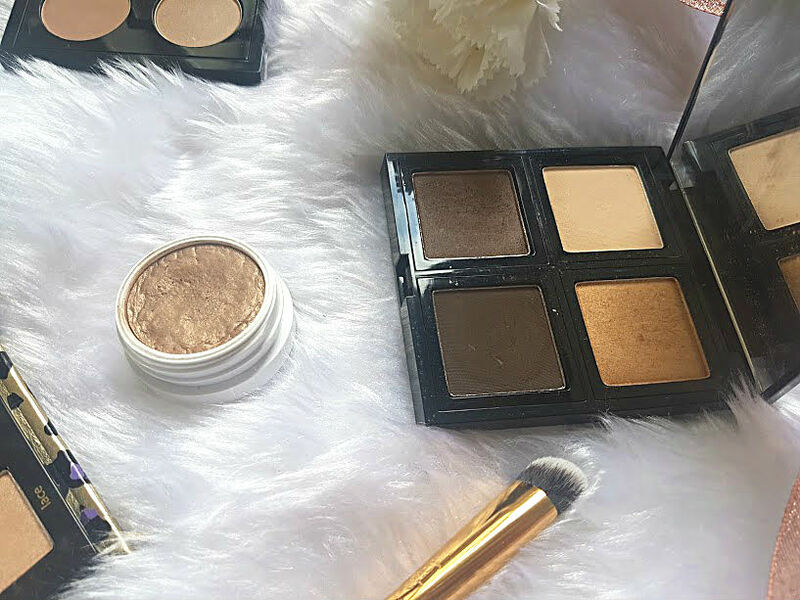 The hassle of spending that extra time in the morning to create an eye look did not appeal to me, however over the last few months I have loved wearing eye shadow on a daily basis. Not a smokey eye with winged liner but more of a subtle swish of colours over the lid and I am good to go. 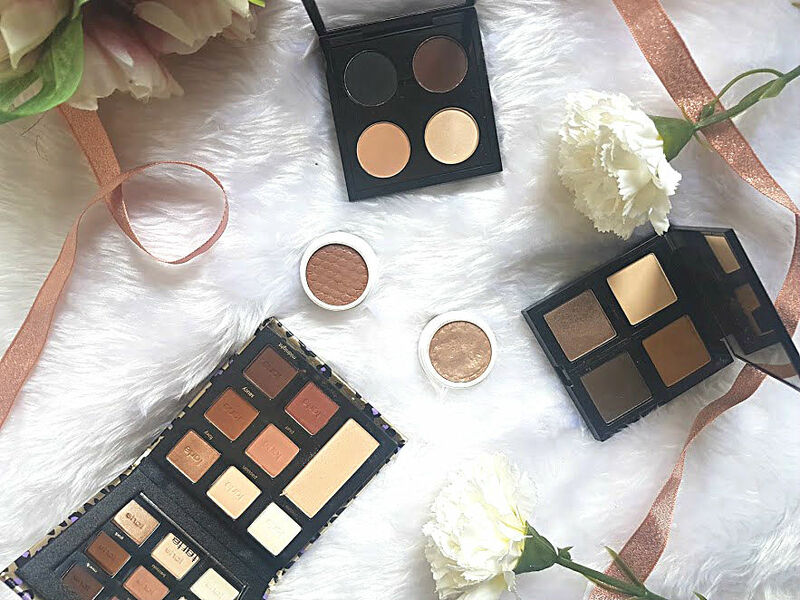 My go to palettes include shades along the brown, beige and taupe spectrum because they are the easiest shades to wear and always look good no matter the outfit. I also have so many eye products and they don't get enough love, this way I can finally hit pan on an eyeshadow!! This cute little MAC quad was a gift from Nishi, when we did our secret santa swap back in December. For the longest time I could not find this but out of nowhere it appeared a few weeks back, don't you just hate when that happens! I don't know why there aren't more MAC shadows in my collection because they are incredible. The pigmentation on them is just insane, the two bottom shades glide on to the lid and blend out to make the perfect base for the other shadows mentioned in this post. Another quad for your eyes to fall in love with, this one from The Body Shop is a great one to travel with. It contains four shades that can create a variety of looks from sultry to subtle, the looks are endless. I tend to use the darker shades from this one to deepen the outer corner, or pack it with me to add the gold in the evening. The addition of a mirror inside of this beauty helps with makeup application when you're in a hurry. I wouldn't say the quality of these shadows are the best, but they are good and very affordable. 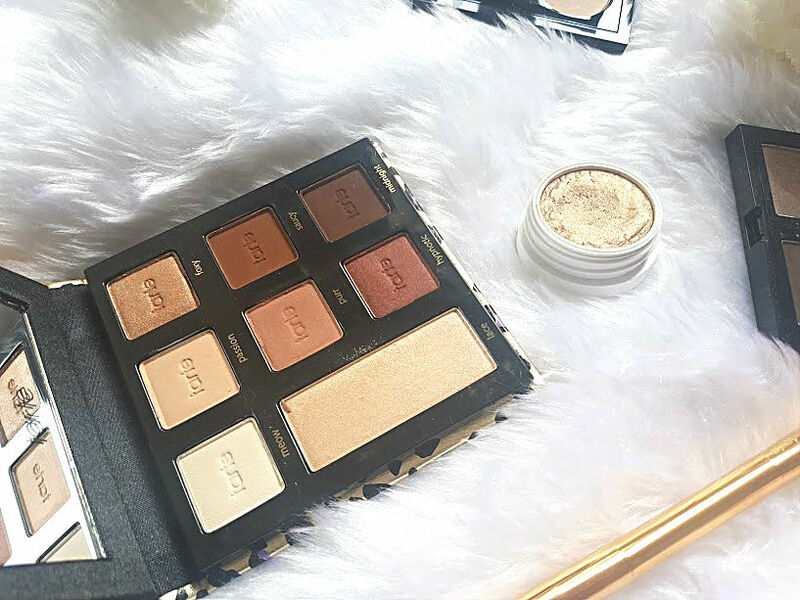 The Tarte Maneater palette is just one of a kind. 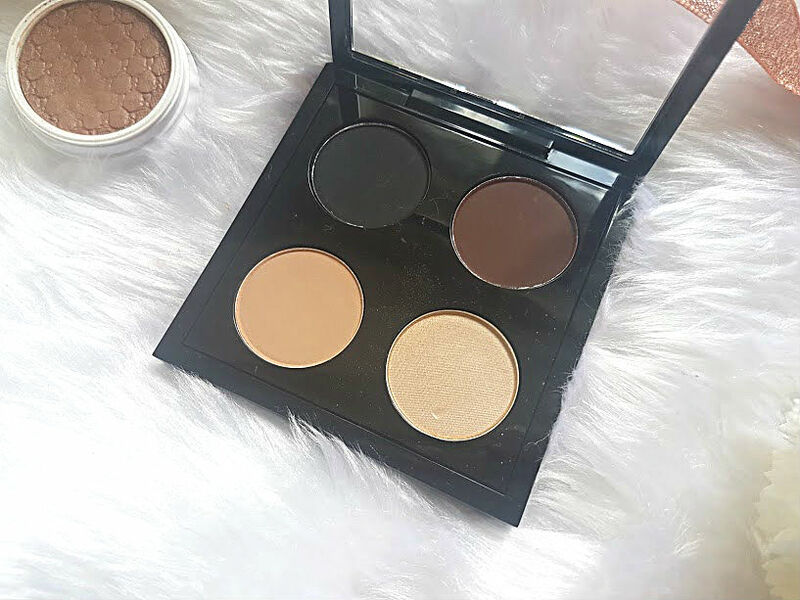 There are seven gorgeous eye shadows in here that give you the opportunity to create so many different everyday looks, even though I am someone who sticks to the brown, the reddish colour in here is stunning and perfect to use all over the lid. As one of the first palettes I have tried from Tarte, I am very impressed and it won't be last - I have my eye on the pro palette next. Each shadow is buttery and very pigmented so you only need one swipe with the brush. Can we also talk about Lace, the highlighter shade in this palette it is simply stunning and makes your eyes look so much more awake in the morning. I have to give an honourable mention to this superstar of a cleanser right here, taking off eye makeup is a chore - something I hate doing. Nouveau Lashes however, make it a whole lot more interesting with unique and easy to use products. The eye makeup remover is one of my beauty staples but I think I've found something to replace it. 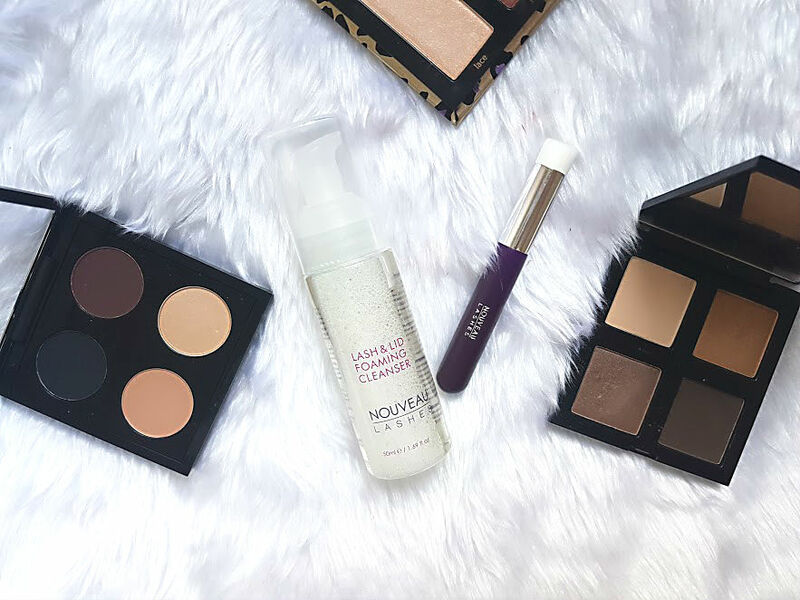 The foaming cleanser* is life changing, you take a tiny amount onto your fingertips and massage it on the lashes and lid. 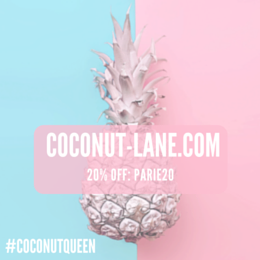 It removes makeup quickly, even stubborn waterproof mascara, feels gentle on the eyes without having that horrible can't open my eyes sensation. There's a little brush that comes with the cleasner, specifically desgined to use with the cleanser. When I have more time in the evening, I've been using the brush to help remove makeup that has stuck under the lower lash line and inne corner. Nouveau Lashes have won my heart once again! Sometimes, I use just one of these palettes and other days I open up all three and take a mixture from them all. I couldn't possibly pick a favourite, but if I had to then it would have to be the Tarte one (sshh don't tell the others) purely because of the quality, shades and packaging - I am just in love. Do you wear eye makeup on a daily basis?